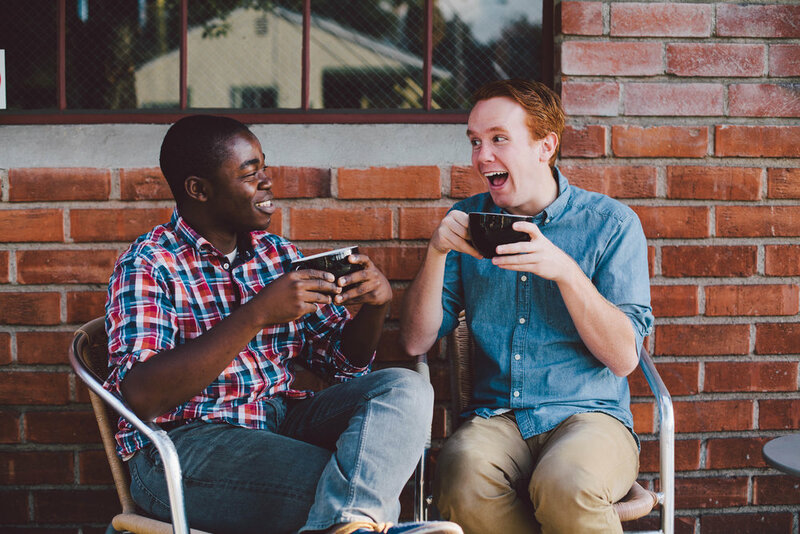 Aaron talks to Kevin T. Porter, one host of the Gilmore Guys podcast about Gilmore Girls! Aaron and Kevin talk about Gilmore Girls and how the Gilmore Guys podcast has grown and changed. The Podcast Preview's hiatus continues, so check out Aaron's other podcast, Fauxboys: A Doughboys Fan Podcast, right here on Benview. This week, Aaron is back with some updates about shows that are taking it to the next level! He also brings you clips from some new shows he thinks you'll like. Check out the awesome recent episodes of Spilled Milk! And check out our previous episode about it too. Enjoy the excellent new New York-based podcasts, Bodega Boys and 2 Dope Queens! Catch up on Comedy Bang Bang, and check out the live tour episodes on Howl. This week's episode contains profanity. Aaron and guest hosts (from Trent Talk) Clare Dickerson and Cheya Cary are BACK, as they continue their recommendation of U Talkin' U2 To Me! They also chat about the FEaB podcast, this awesome Saul Williams cover of U2's Sunday Bloody Sunday, this Nine Inch Nails cover of U2's Zoo Station, and this hilarious animation of the classic U Talkin' U2 To Me "Hey Spidey" bit. U Talkin' U2 To Me was a podcast hosted by Adam Scott and Scott Aukerman. It was conceived to be the "encyclopedic compendium of all things U2", but its running jokes and recurring segments made it much more than that! Trent Talk is a podcast about "America's greated treasure: Trent Reznor". Hosts Cheya and Clare know a ton about Trent (Can I call him Trent? ), and it's a blast to listen to and learn about Nine Inch Nails and ol' Reznor himself. Check it out! Aaron and guest hosts (from Trent Talk) Clare Dickerson and Cheya Cary recommend U Talkin' U2 To Me! Aaron recommends CoolGames Inc., a comedy podcast where Griffin McElroy and Nick Robinson pitch video games to real gaming insiders! CoolGames Inc. is a new podcast from Polygon, hosted by Nick Robinson and Griffin McElroy. Every week, Nick and Griffin solicit joke video game titles from their Twitter followers. On the podcast, they sort through these pitches, seeing which has the potential to be a fleshed out video game pitch. Then, they present their idea to a video game insider: a celebrity from the comedy or gaming world, or a real-life gaming exec who accepts game pitches in real life. The show is filled with constant laughs, and you get to see just a little bit inside the gaming world, too. Griffin McElroy is a writer for Polygon and one of the best podcasters around. You can find him on Twitter or on one of his family's podcasts. If you like CoolGames Inc, you'll also like Griffin's Amiibo Corner. Nick Robinson is a video producer at Polygon. You can find him on Twitter and YouTube. This week on the show, Aaron talks to master podcaster Jesse Thorn! Jesse Thorn is one of the most important people in podcasting. He hosts NPR arts and culture interview show Bullseye and comedy goof-fest Jordan, Jesse, GO! He also runs the listener-supported podcast network Maximum Fun, which hosts a ton of great shows, including previous Podcast Preview pick Baby Geniuses. On top of all of that, he runs the menswear blog and store Put This On. Aaron and Jesse talk about how millennials are covered in media, cover some juicy details about the dawn of podcasting and the start of Jesse's career, and recommend some great podcasts, both on and off the Maximum Fun network. Aaron and guest cohost Devin Gallagher recommend You Made It Weird! You Made It Weird is a comedy podcast from the Nerdist Network, where Pete Holmes talks to comedians, scientists, and spiritualists. Sometimes it's serious, other times it's goofy, but You Made It Weird is always a blast to listen to. Devin Gallagher is a media expert and the host of the Media on the Radio podcast. This week on The Podcast Preview, Aaron talks to Nick Wiger and Mike Mitchell, hosts of the Doughboys podcast! They talk about which chain restaurants are the most important, the best ways to handle leftovers, and the controversy surrounding the Doughboys' rating of the Five Guys chain. Nick and Mitch also drop some exclusive hints about upcoming episodes. Doughboys is a comedy podcast about chain restaurants. Hosts Nick Wiger and Mike Mitchell are both comic writers and improvisers from Los Angeles, and they bring their sharp, each-other-deprecating wit to the show. Every week, they discuss a particular chain restaurant and then rate it on a scale of one to five forks. This week on the show, Aaron recommends Get Up On This! Get Up On This is a pop culture show hosted by comedians Jensen Karp, AKA rapper Hot Karl, and Matt Robinson, who wrote and directed The Invention of Lying. Jensen and Matty tell you about the best of what's about to go mainstream, and what should (but never will) break big. This week on show, Aaron recommends Baby Geniuses! Baby Geniuses is a comedy podcast hosted by artist Lisa Hanawalt, creator of Bojack Horseman, and Emily Heller, who is a comedian and voice actor for that show. They'll talk about any issue, from Martha Stewart's horse to dancing mania and Ruth Bader Ginsburg. Aaron interviews Molly Wizenberg and Matthew Amster-Burton. Molly and Matthew are the hosts of Spilled Milk, a comedy podcast about food. As food-writers, they know a lot about their subject matter, but that doesn't stop them from loving Cheez-Its and taking down foodies. Song Exploder is a podcast hosted by Hrishikesh Hirway, where an artist takes apart their song and tells you why it sounds the way it does. Aaron talks to Tim Batt and Guy Montgomery. Tim and Guy are the hosts The Worst Idea of All Time, a podcast where they watch a bad movie once a week, every week, for a year. Who Charted? is a comedy podcast hosted by Kulap Vilaysack and Howard Kremer about chart-topping pop culture, including music, movies, and video games. But most importantly it's about Kulap and Howard's friendship.